When selecting interior doors for new construction or an extensive renovation, there are a number of excellent choices currently on the market. Many homeowners will find plenty to choose from while melding well with their interior design scheme and also staying within budget. 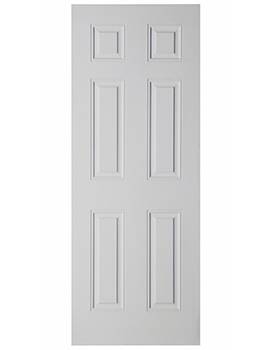 Moulded panel interior doors are a great choice and come in a wide array of styles. The team at Buildworld offers the following information in the hopes of making this important choice easier. How are Moulded Panel Doors Constructed? These doors feature shaped panels that sit on the surface of the door, giving a degree of depth and visual interest to what would otherwise be a flat panel. The panels are shaped according to the design of the door and are often created of MDF, which is then coated with a thin but strong layer for a smooth finish. The doors can then be painted to match the color scheme of the room. Hardware is yet another way to provide a custom look and feel to the doors. One of the biggest benefits of choosing this style of door is the number of choices available when it comes to panel shape and size. There are horizontal panels, vertical panels and even doors with glass inserts to allow light to stream into the room. In fact, there are around the same number of styles as would be available in wooden doors. This gives homeowners a degree of flexibility in creating a cohesive look throughout their home. 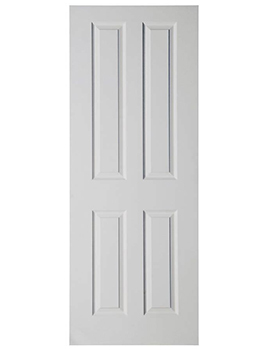 Perhaps the biggest appeal of moulded panel doors lies in their affordability. These doors are far less expensive than wooden doors. 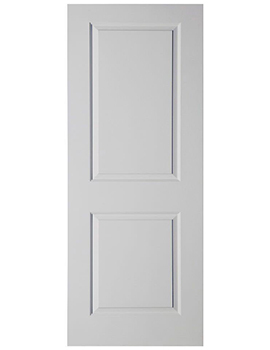 Once painted, the result is a quality door that has a luxury look, but at a price point that is within most budgets. These doors are also incredibly durable and make a lasting investment that will serve a family for many years to come.